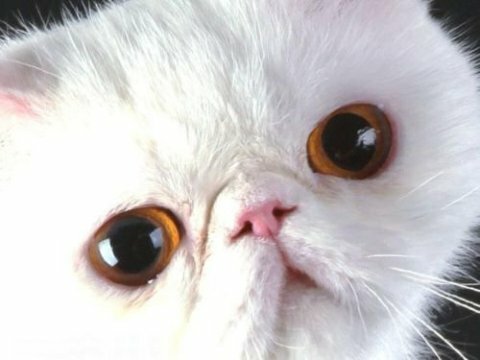 Bad smell from the mouth of the cat is not always the cause of diseases of the gastrointestinal tract. Often the smell from the mouth is the first sign of gingivitis - common inflammatory infections of the gums Gingivitis - a mild form of the dangerous disease - periodontitis. Inflammation can affect not only one tooth, but several at once. Infection, which is accompanied by inflammation, quickly spread from the most infected gums to the ligaments and bone that hold the teeth in the oral. If the owner just did not pay attention to the problems of the caudate, consequently did not start treatment or not adhered to all the recommendations of a veterinarian, as a result tooth lost support, which leads to his slacking, and in the later stages - loss of tooth. Problems with gums and teeth have extremely negative impact on the body in general. Besides unpleasant putrid odor from the mouth also can occur the spread of infection throughout the body of the animal, affecting the liver, kidneys, lymphatic system and other organs through infected blood, because in the cat's mouth is quite good blood supply. Getting infection in the blood, transporting it to the organs can cause them heavy defeat. If at this point not to pay attention to the condition of the cat - all can end is pitiable, leading to a denial of one or another organ. 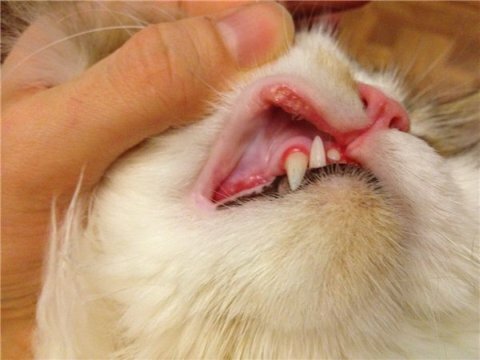 Dental Gingivitis occurs after raid on teeth and canines of pet. It should be remembered that the plaque is caused by settling of bacteria and food particles near the compound of teeth and gums. First on the teeth is formed faint patina, which each time becoming more dense. Not removed plaque is hardens and becomes dental tartar. It is easy to see in those places where the tooth is connected to the gum. Usually tartar has a distinctive yellow color that is different from the natural enamel. After some time, there is a reddening of the gums, which is the first sign of developing gingivitis. Lack of appetite. More specifically, the pet is hungry, appetite is not lost, but a strong pain in the mouth does not let pet to eat the food. For the diagnosis of "dental gingivitis" or "gingivitis" veterinarian will examine the oral cavity of cat, paying particular attention to the presence of plaque, inflammation or redness in the gums and the presence or absence of odor from the mouth. To confirm the diagnosis of "Plasmacytic-Lymphocytic Hepatitis", cat should be biopsied. Treatment depends entirely on the degree of development of gingivitis. In the initial stages of early treatment is possible by regular brushing. Removing tartar is a preventive measure rather than curative, but can also be a cause of gingivitis. In fact, gingivitis - inflammation of the gums, and improperly performing procedures to remove the stone fangs and teeth pet can lead to penetration of infection into the space between the tooth and gum, and as a result, give rise to inflammatory processes in the mouth. The use of anti-inflammatory drugs also contributes to the passage of infection. If no improvement is seen, and the treatment is not successful, the only salvation for this pet health becomes the removal of teeth, exposed to infection.